In Ahmad v Her Majesty’s Advocate  HCJAC 82, a Scottish appeal court queried whether a law firm had sufficiently robust internal procedures in place to ensure that a decision to instruct one of its solicitor advocates was independent and in the best interests of the client. The judgment is a useful reminder that choice of representation for court or tribunal proceedings is a decision for a client, based on informed advice given by the instructing solicitor. In Ahmad, the defendant had been represented by two solicitor advocates at his trial for the murder of his wife. He was convicted and appealed. One of the grounds for his appeal alleged defective representation in the preparation and conduct of his trial (regarding the possibility of a plea of diminished responsibility). The defendant’s other ground of appeal alleged that he had been denied proper representation by not having a “senior counsel”. The appeal was dismissed. However, the Scottish appeal court appears to have been concerned about the possibility of a lack of independence in the decision-making process taken within a law firm to instruct one of its own solicitor advocates. In Ahmad, the lead solicitor advocate who represented the defendant at trial was a partner of the law firm, instructed by an associate from the same firm. Their relationship was one of employer and employee and raised the sort of “people management” issues considered in the profession’s Risk Management Education core courses in Hong Kong. The concern highlighted in Ahmad is not about the role or duties of solicitor advocates. In Scotland and England & Wales, those duties are set out in codes of conduct. 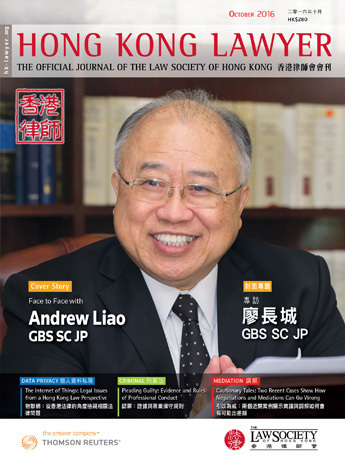 In Hong Kong, solicitor advocates are governed by the Law Society’s “Code of Advocacy”. That Code has extensive inbuilt provisions dealing with (among other things) a solicitor advocate’s duty to – act in a client’s best interests, maintain his or her independence, only accept instructions to appear that are within his or her competence and avoid conflicts of interests. In particular, the duty to act in a client’s best interests is referenced to whether a client should be represented by another advocate (whether a solicitor advocate or “counsel”*). Furthermore, a “litigation solicitor” (whether a solicitor advocate or instructing solicitor) is subject to the responsibilities set out in Ch. 10 of the Guide to Professional Conduct. The practical issue for instructing solicitors is how to document advice to a client concerning the choice of representation for court. The client’s decision must be based on informed advice. 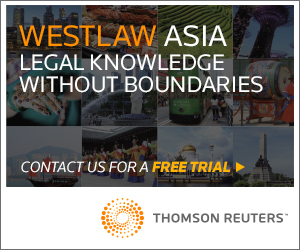 The decision is particularly important in serious criminal cases (although, at the time of writing there are only 5 solicitor advocates with higher rights of audience in Hong Kong with respect to criminal trials). Ultimately, freedom to choose your advocate is an important right; that freedom was central to the justification for higher rights of audience for solicitors. 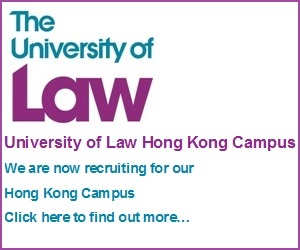 Increasingly, a client may wish to be represented in court by a solicitor advocate or, perhaps, a barrister together with a solicitor advocate – something that one is beginning to see in civil proceedings in Hong Kong (apparently, colloquially known as “mixed doubles”). * See para. 4.2 of the “Code of Advocacy for Solicitor Advocates”. In this context (and without reference to any particular policy) the writer assumes that the word “counsel” refers to a “barrister”. 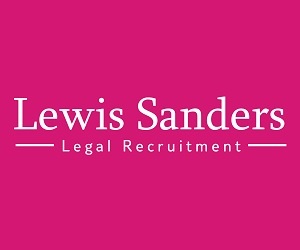 Also see – Re Sandbrook Solicitors  EWHC 2473 (Admin).